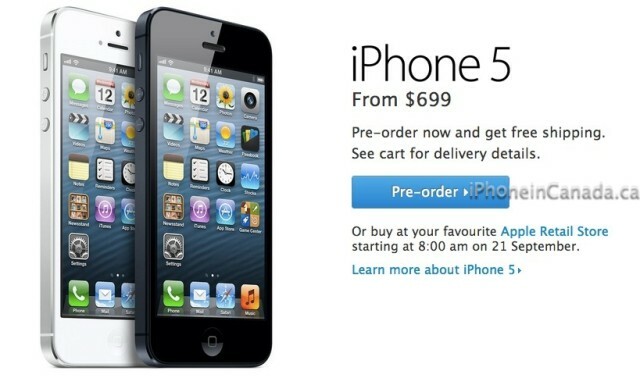 Apple announced iPhone 5 pre-orders would be available on Friday, September 14th and now the time has come. We first noted to you the 12:01AM PDT start time for iPhone 5 pre-orders, as confirmed via Apple’s online chat. This midnight PDT start time is similar to what we saw last year for iPhone 4S pre-orders. 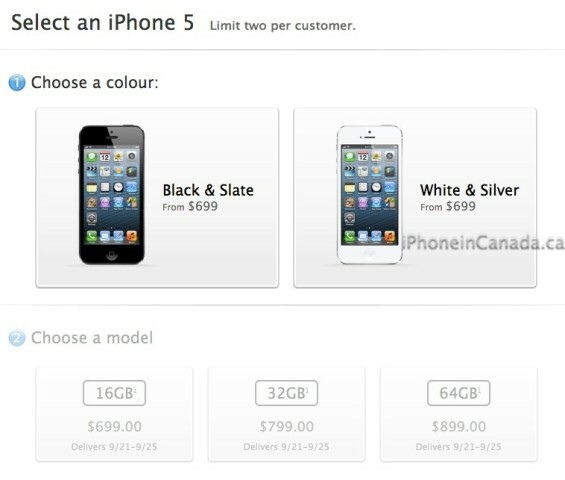 You’ll note that these prices are $50 higher compared to last year’s iPhone 4S. Strangely enough, the US pricing for the iPhone 5 this year remains at $649/$749/$849 for unlocked models. Gee, welcome to Canada. Take our poll below: what model/colour will you be ordering (can’t see it? you’ll need to click through to the site to vote!)? What iPhone 5 model are you ordering? 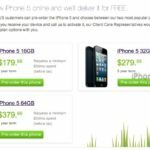 PS – looking to reserve online for carrier upgrades? Telus pre-orders have started at the same time (12AM PDT/3AM EDT) and Rogers/Fido is set to kick off between 6AM-7AM EDT. Bell hasn’t mentioned a time yet, but expect it to be in the early AM. Update: You can also place your order through the Apple Store iOS app. My order went through without a hitch. GOOD LUCK.